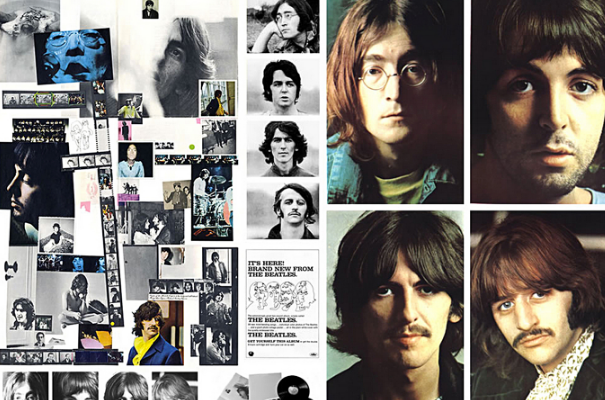 The Beatles "White Album" showdown continues! In the previous two rounds, we'd taken all 30 tracks from The Beatles' famous double LP (released 50 years ago this November) and matched them against each other, tournament style, resulting in our arrival this week at the Elite Eight and the Final Fab Four contests. As we near the conclusion of the tournament showdown, we'll push through two rounds in this installment, and save the final championship song-vs-song matchup for next week. None of these are easy matchups, and Paul's hard-rocking, tongue-in-cheek celebration of life in the Soviet Union is met blow-for-blow by George's philosophical observations backed by once-in-a-lifetime guitar riffs. In the end, "USSR" wins the match with just an extra kick of excitement and drive. Did I say none of these were easy matchups? This one is fairly easy. "Helter Skelter" wins in decisive fashion. "I'm So Tired" is a great song (aren't they all? ), but "Helter Skelter" comes out of the gate swinging, and it just never lets up until you're left, sweaty and spent, wondering what just hit you. John vs John, Sadie vs Prudence, a guitar masterpiece vs a beautiful piano piece. It's a close call all the way, but "Dear Prudence" is more lyrically compelling, more musically interesting, and overall just has that extra "something" that "Sadie" doesn't quite have. But wow, these are both really, really good songs. Some people are inclined to think of "The White Album" as John's album, and it's material like this that makes it hard to argue. "Dear Prudence" goes on to the next round. "Blackbird" stuck around for a few rounds, as it should have, but ultimately it has to yield here to John's little operetta. You just don't find lyrics anymore like "a man in the crowd with the multicolored mirrors on his hobnail boots," or "a soap impression of his wife which he ate and donated to the National Trust." So we say bye, bye to "Blackbird," and "Happiness" advances. The excitement builds! Four songs left standing out of the original 30! At the end, we will be left with just the two best songs remaining. Rockin' Paul vs Rockin' Paul. How do you even declare a winner here? This matchup nearly needs to go into overtime, so closely matched are these two songs. But from the opening scream of distorted, dissonant guitar, right on through to the breathless, drum-pounding, finger-blistering end, "Helter Skelter" is a Category 5 Hurricane of Awesome, and it wins the matchup, upsetting the Number One seed. The previous matchup featured Paul vs Paul, and this one features John vs John in a real nail-biter. The background vocals are even neck-and-neck at this point: "Look around, round, round ... round, round," and "Happiness ... bang, bang, shoot, shoot!" Another matchup that requires overtime and extra listening, it has to be "Happiness" that wins, but barely. George's mini-solo in the middle of the song probably gives it the push necessary to win. Two upsets in a row! And now we have arrived. Next week, the ultimate showdown: "Happiness is a Warm Gun" squares off against "Helter Skelter" for the championship title, the award of "Best Song on the White Album." Don't miss the thrilling conclusion!